Navigate to Companies (or to Dashboard, if there is no Companies button - skip to step 3 if this is the case). 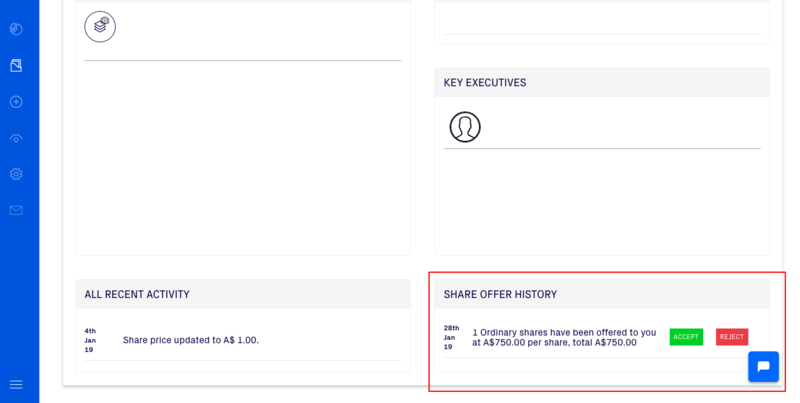 Under the heading Share Offer History, you will be able to view any share offers from the company secretary. Review the offer, and click Accept to continue the process. 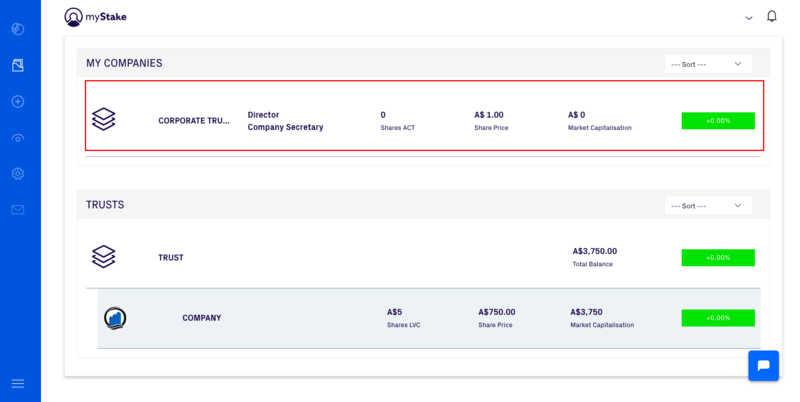 You will now need to transfer funds as per the share offer, and advise the Company Secretary once complete. Once the company secretary has confirmed the payment, they will arrange for the share certificate to be generated and signed. Once the share certificate has been signed the company secretary will issue your shares.